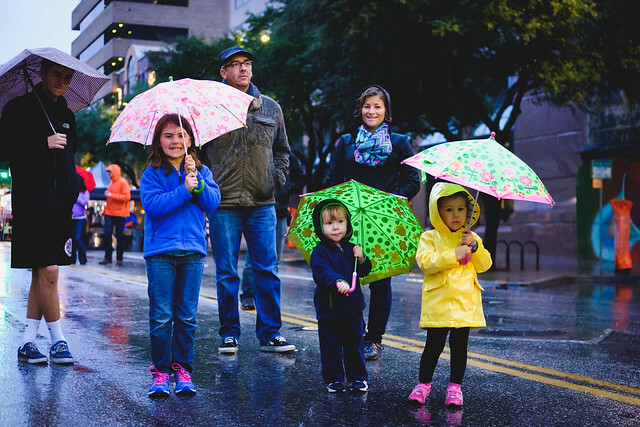 Kick off the holiday season in downtown Austin at the annual Holiday Stroll. Kickstart your holiday season at the Downtown Austin Alliance’s Holiday Stroll on Saturday, December 1 along Congress Avenue between 9th and 11th streets. Join us from 5:00 to 10:00 pm for a night of holiday cheer in downtown Austin, including the annual KUT Austin & KUTX 98.9 Holiday Sing-Along and the lighting of the downtown tree. Support our neighbors in need by bringing non-perishable food or cash donations to the Central Texas Food Bank tent near 1000 Congress. With one in six Central Texans facing hunger, your contributions help provide hope for the holidays.